More of Barbara Becker Simon’s fantastic bubble beads make this a bracelet you will reach for again and again. The center sterling bead is 22mm. 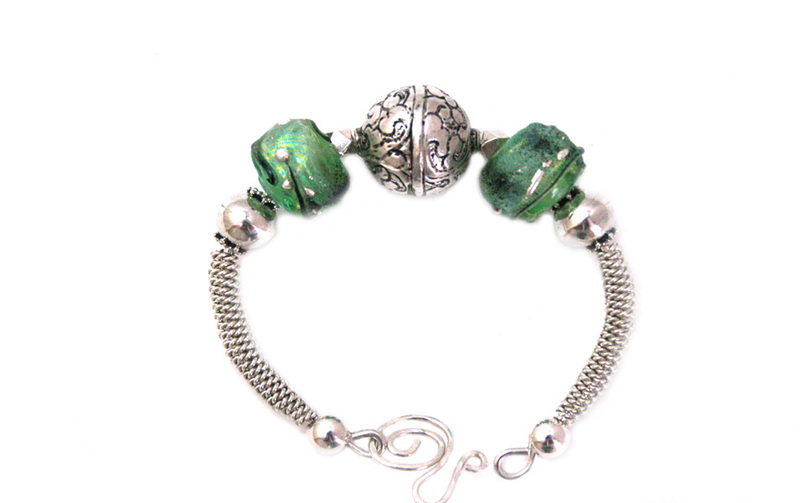 Lots more sterling with handcrafted clasp complete this great bracelet. Fits 7 – 7.5 inch wrist. The matching necklace is Fish Tales Necklace (N23).